They have free WiFi! Carry your laptop and work away. They pack up pretty easily, though I wish there was more seating. Also the food here pales in comparison to the coffee; which may be by design. But yes, I wish the food was better and more unique. The coffee at Third Wave is boss! 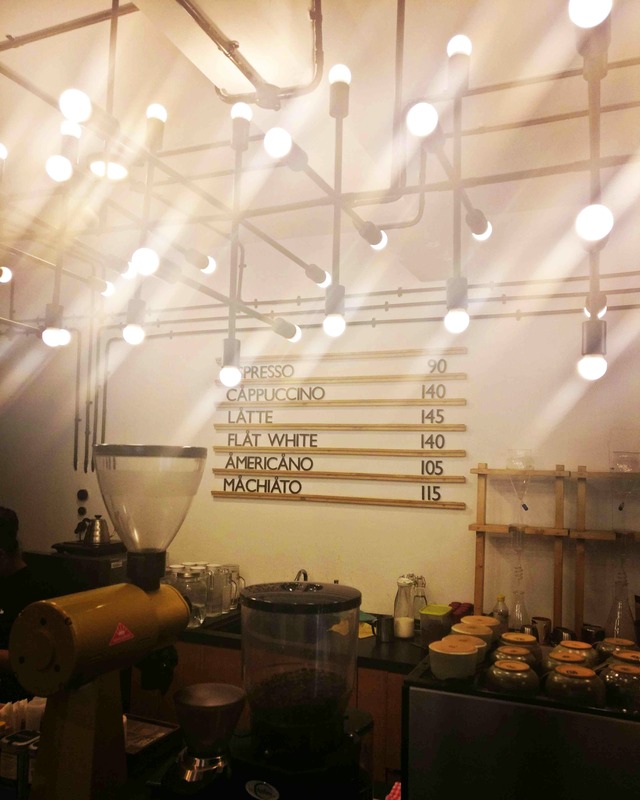 They've got all the varieties available as well - flat white, macchiato, pour-over, aeropress, and so on. I love the vibe, the music, and the decor. And the staff is super warm and friendly as well. Great place to work out of, all over fantastic coffee. Their food menu checks all the cafe boxes - there's sandwiches, cakes and more to choose from. The food offering is basic, and keeps the highlight on the coffee.